Are you a muffin lover like I am? Do you prefer the top or the bottom or do you really not care? I love the entire muffin, but, if I had to choose I would probably go for the top. Do you remember the Seinfeld episode where Elaine opens a bakery that only sells muffin tops? I love that episode. I had a couple ripe bananas sitting on my counter getting browner by the second, so I put them to good use and made muffins . . .peanut butter banana chocolate chip muffins. 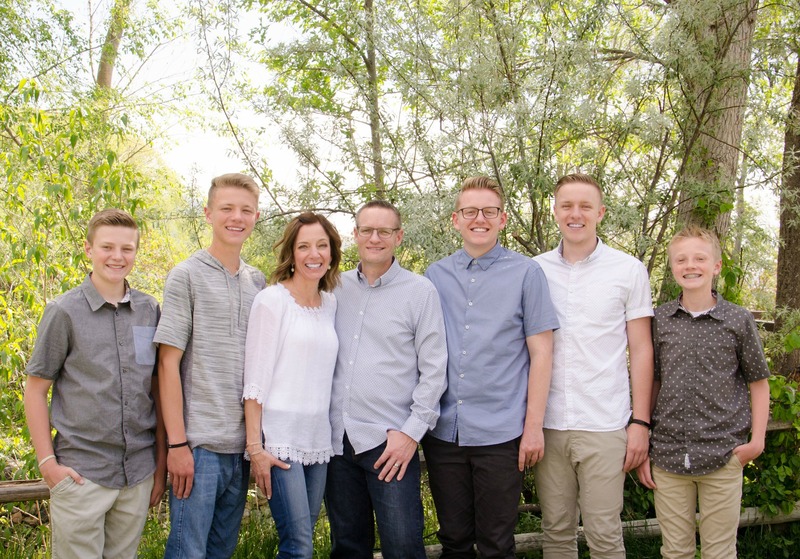 They were a smashing success and even Braydon (pickiest kid in the history of ever) loved them. I asked him if he realized there were bananas in them, he said he knew there was and yet he still ate one. You have to know how huge that is because he doesn’t even like bananas (or raspberries, or cantaloupe, or peaches, or most any fruit). Eat them warm, with a little butter smeared on top –Yum, they are pretty dang fabulous. I even spread some peanut butter on one . . . delicious! 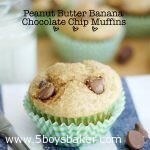 The combination of peanut butter, banana and chocolate make for one tasty muffin. We absolutely love these. Eat them warm with some butter and peanut butter spread on top. Sooo yummy! Combine flour, baking soda, baking powder and salt and set aside. Cream the butter and sugar until light and fluffy. Add eggs, vanilla and peanut butter. Stir in bananas and sour cream mixing until well combined. Fold in flour mixture until just combined and then add in chocolate chips. Spoon into lined muffin tins, filling each one to the top (makes about 16 muffins). Sprinkle tops generously with Turbinado sugar. Bake at 375 degree for 15 to 20 minutes or until toothpick inserted comes out clean. Wish I had these for breakfast this morning! Thanks for linking up with What’s Cookin’ Wednesday! Eggs are missing from the ingredients list, but are in the directions. I guessed two since it was plural-just a heads up! These look delicious! Thanks Sara for the heads up about the eggs . . .fixed! You guessed right, it’s two. Thanks for looking. Glad you enjoyed them. 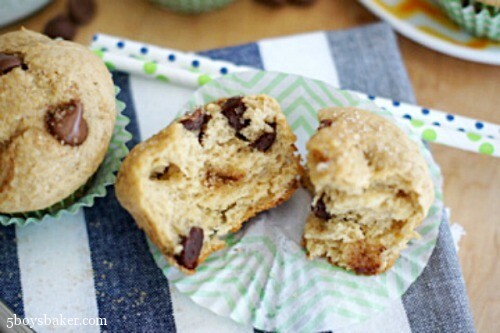 Just made these for an after quiet time snack…I got an extra 10 minutes of quiet because they LovED them! I made 12 of the jumbo muffins in silicone cups, baked for about 25 minutes. So good!!!! How many eggs in this recipe? It’s 2 eggs. I will fix it, thanks for catching that. Sorry about that.